This collection of travel candles features six gorgeous reusable tin containers filled with a selection of enticing fragrances. 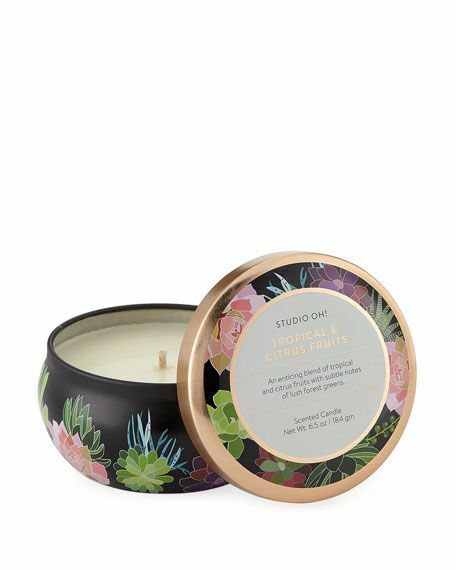 Embellished with copper, gold, or silver accents, each soy wax blend candle tin is the perfect comfort item for your next getaway. An enticing blend of tropical and citrus fruits with subtle notes of lush forest greens. 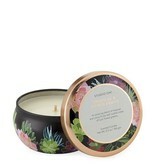 Studio Oh tropical and citrus fruits candle in printed tin.